Ok – the hardest part about participating in May is for Makers is figuring out which patterns to purchase! There are so many talented designers out there, that I just want to buy every one I see! Which I would, but then I wouldn't have any funds for the fabric. And quilt patterns without fabric really would be a problem! The first pattern I purchased was a no brainer. 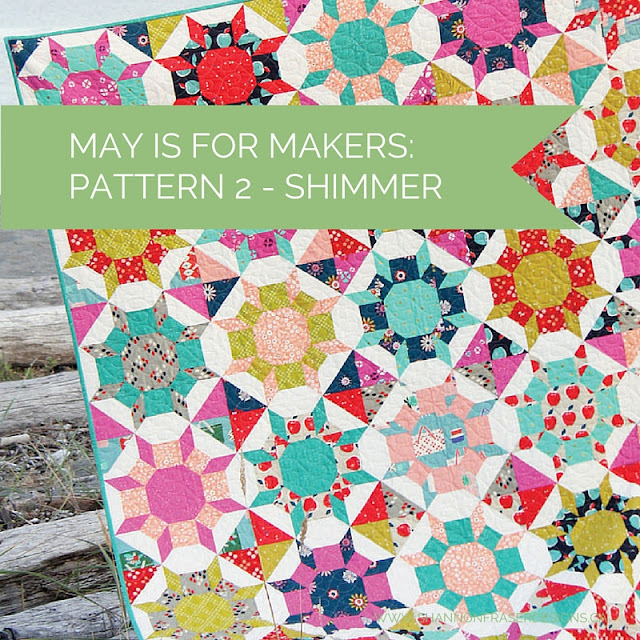 I'm not sure if it was because I saw it right after hearing about May is for Makers, or if the colourway (which I had been envisioning for weeks) just spoke to me, but it was a total no brainer. I saw it. Loved it. And bought it. Easy. The second purchase hasn't been as straightforward. After perusing site after site, and mulling my decision for days, I finally decided to go with Shimmer a stunning and graphic pattern by Cluck Cluck Sew. And it doesn't involve any "Y" seams or special templates like the Weight of Love quilt! Love that! Thank you, Amanda! 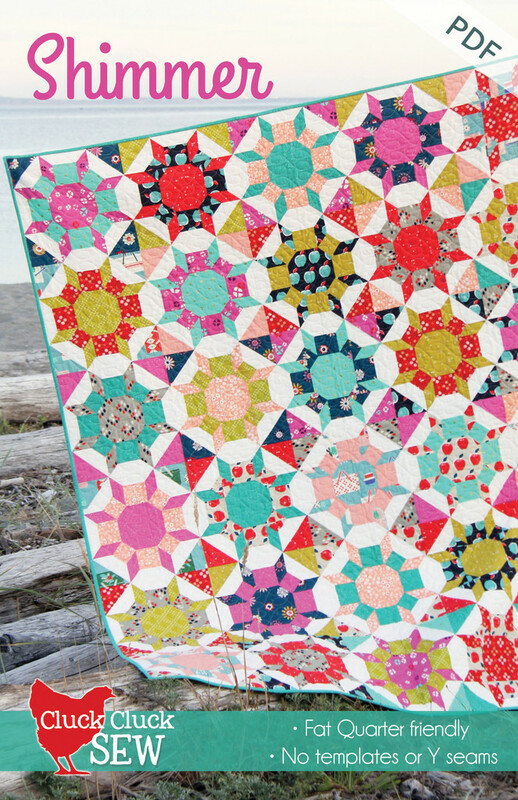 Have you tried this pattern before or any by Cluck Cluck Sew? I think this is a great purchase! So many different possibilities on fabrics you could use with this one. And I agree, I think the hardest part of May is for Makers is trying to narrow the selection down. I was considering this pattern, too! :) And I'm having a tough time choosing as well... I fell down the rabbit hole the other evening looking at patterns. There's a lot out there! Ok, you are both making me feel better!! I honestly have a list of potential patterns to consider and it just keeps growing!! And ditto on stalking the #mayisformakers hashtag! !